For Medical Professionals - Caldwell Wealth & Estate Advisory Ltd.
Caldwell Wealth & Estate Advisory Ltd. | For Medical Professionals - Caldwell Wealth & Estate Advisory Ltd.
A 2010 article published in the Ontario Medical Review (June 2010) connected the dots in an insightful and entirely accurate manner. It acknowledged that the features that define an ideal physician-patient relationship—trust, confidence, knowledge, understanding, mutual respect and shared values—are also what you would likely be looking for in a relationship with your financial advisor. As a boutique firm that is building its reputation on strength of character, competence, trust and client confidence, we at Caldwell Advisory see relationship as “job one”. Only through knowing you well can we help uncover and explore opportunities or risks that call for more conversation and advocacy. Like you, we make sure that we have the full picture before proposing any specific courses of action. And should your best solution call for a referral to another specialist, the Caldwell Advisory Resource Team is nearby and prepared to bring the necessary focus of expertise to your situation. Whether meeting in your office or ours, you’ll quickly recognize that we offer a safe space for you to talk about the things you value most. Your chosen profession beckons you to be the best you can possibly be. Having Caldwell Wealth & Estate Advisory on your team can give you the freedom and comfort to know that your financial health is being watched over by trusted friends. 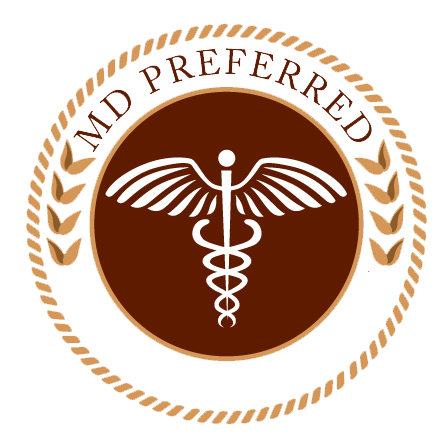 MD Preferred is a network of physician-friendly professionals who bring a cross-section of support and assistance from various business sectors to the local medical community. Each brings expertise from their own area to help physicians focus on what they do best – tend to the health and wellbeing of their patients. MD Preferred members include lawyers, accountants, bankers, realtors, investment planners, insurance advisors, and mortgage specialists. Caldwell Wealth & Estate Advisory is proud to serve the doctors in our area as the exclusive MD Preferred representatives for the greater Kingston region. Get started today; book an appointment with one of our financial security advisors and we’ll start working for you. *The use of email is not a secure medium and personal information should be transmitted by more secure means.